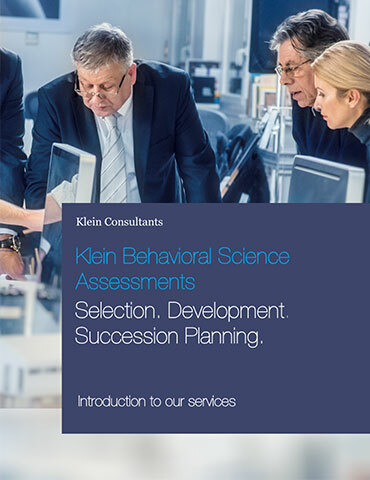 Klein's pre-employment assessment are calibrated to the specific responsibilities of a role. In order to meet the company’s growth goals and simultaneously maintain corporate profitability, managers need to make selection and promotion decisions carefully. High turnover can cause clients to lose faith in the company, and it adversely affects employee morale. The bottom line: the wrong people in the wrong job costs your company real dollars, especially in today’s economic climate. We’ve developed a powerful tool that helps you hire tenacious, hardworking people who can help you gain and keep a competitive edge. The analysis also helps managers counsel on the job. 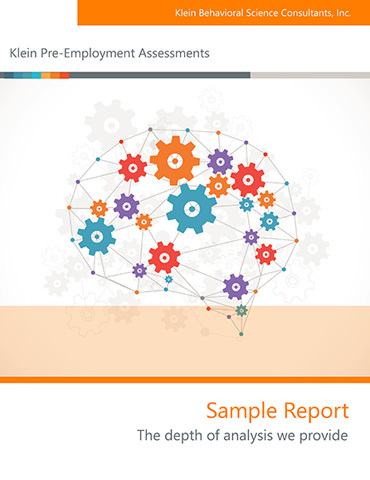 The reports outline what concrete steps to take to increase an employee’s chances for success. We also help you uncover hidden potential that might otherwise be overlooked. The results are objective. 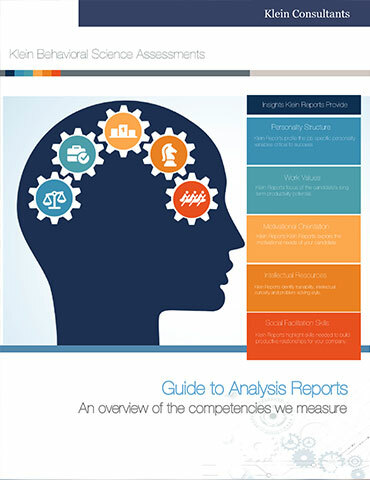 The report is a professional “second opinion” on an individual’s strengths and weaknesses. The program is not designed to take the place of your managers’ professional judgment, but to enhance the quality of the information available. The program results in real cost savings. If we can help you avoid making one bad hiring or promotion decision this year, the service essentially pays for itself.